Farm-stay holidays breathe new life into relationships. Is there a nicer place to cuddle up than beneath the soft blankets of a Swiss pine bed or on the bench by the oven during a thunderstorm? Spend time, just the two of you, in the sweetest landscapes of Carinthia, for instance at Millstättersee or in a cosy mountain chalet high above the treeline. Step barefoot through the dewy pastures, hand in hand; conquer a summit together or simply explore the area. 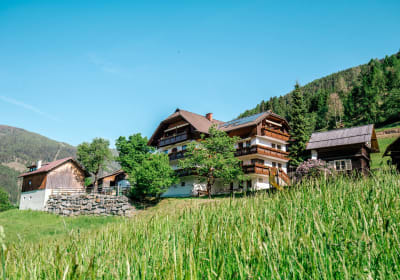 By the time you return home from a romantic holiday at a farm or in a mountain chalet, be certain that your heart, soul and the love you feel will be entirely refreshed.